I rode Fixed with MapMyRide+! Distance: 50.1mi, time: 03:08:57, pace: 3:46min/mi, speed: 15.9mi/h. Cold dry start with light breeze from the north. Quite a contrast with yesterday’s blazing sunshine. I ducked out of Bannister Hill but went up Dalton instead. Decent ride overall but sad to see roadkill hares. Both were males, probably full of young enthusiasm for the spring. Oh, the needless destruction. I despair. 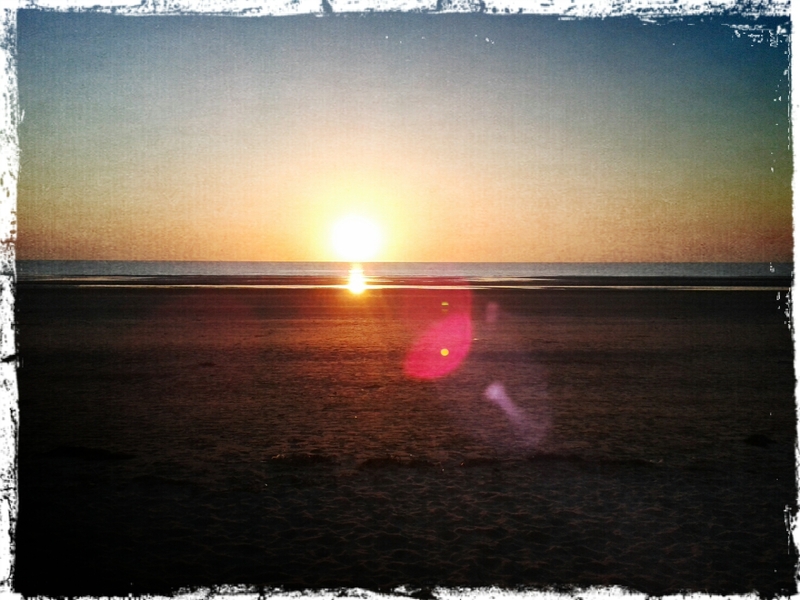 Yesterday’s sunset on Formby beach. That sky was clear right down to the horizon. Breathtaking. This entry was posted in fixed gear and tagged Cycling, fixed gear. Bookmark the permalink.